What will the state of Rio be a year from now? Jim Caple: We are a year away from the lighting of the cauldron, so this marks the official time for us to slip into panic mode over conditions for the next Olympics. This is almost always the case before the every Olympics. Prior to the 2014 Games in Sochi, there were considerable fears over safety due to the bombings in Volgograd, plus outrage over the costs. A year before the 2012 Games in London, there were safety concerns due to the mass rioting near the Olympic grounds. Prior to the 2004 Games in Athens, there were deep concerns over possible terrorist attacks (we had to attend safety classes taught by former British commandos) and whether venues would be finished. There are always concerns before the Olympics, from cost overruns to local protests to unfinished venues to fear of terrorist attacks. But the Olympics, for the most part, happen without major incident. The venues are completed, overall safety is not an issue and the Games themselves are successful. So I’m not worried about Rio. Apart from legitimate health concerns regarding polluted waters in which athletes will compete, the Rio Games will be like the others — uber-worrying by the media before they start followed by a typical Olympics in which we focus on what is most important, the athletes and not our fears. Wayne Drehs: Chaos and confusion. Anger and frustration. And roads that are likely to be a tangled mess. This is the host committee’s worst nightmare, and depending upon who you believe, it is either an imminent reality or the typical doomsday reporting that precedes any Olympics. The frantic dash to get venues, infrastructure and lodging (hello, Sochi) finished on time is nothing new. But for many reasons, this time it feels different. The Brazil that will host the 2016 Summer Games is drastically different than the one that was awarded the Games six years ago. Its once-booming economy is now headed in the opposite direction. Its president is in danger of impeachment. And the Games that were supposed to inject a sense of pride into Brazilians are instead being viewed as more and more of a money-wasting nuisance. Then there is the embarrassment of the water quality at the venues that will host canoeing, sailing, rowing, triathlon and open-water swimming. A recent study by The Associated Press found that competitors will have a 99 percent chance of infection if they ingest three teaspoons of the water. “Basically raw sewage,” is how one marine biologist described it. But even with all the concerns and consternation, Rio is a magical city that has the potential to be a brilliant host. The question now is whether that potential is actually reached. Bonnie D. Ford: I expect the usual spate of stories about the worrisome lack of readiness to escalate over the next year and intensify on the eve of the Games, but this is a familiar pattern. Even London 2012, an organizational success in almost every way, had a last-minute security snafu and had to call in the military two weeks before the opening ceremony. In my opinion, the biggest concern, and one that appears impossible to address in time, is the water quality at venues where open-water swimming, triathlon, sailing, canoe/kayak and rowing events are set to be staged. A recent Associated Press investigation found dangerous levels of bacteria or viruses, or both, present at these venues, which could imperil athletes’ health if they train there before competition, or affect them afterward. Promises to build modern facilities to treat Rio’s raw sewage, a feature of the Olympic bid and a commitment that would have improved the city’s overall quality of life, seem to have been a charade. The pollution represents an unacceptable level of risk, but unless sport federations push far harder than they have to date, there won’t be a change of venue and the athletes will be assuming all of that jeopardy. Who is the most intriguing athlete on your radar? Jim Caple: There are so many to choose from, but two stand out right now. Wayne Drehs: Katie Ledecky. Unless you’re an Olympic or swimming die-hard, there’s a chance you may have never heard of the 18-year-old who just graduated from high school in June. Yes, she won Olympic gold in the 800-meter freestyle in London at age 15, the youngest member of the entire U.S. squad. But in the shadow of Missy Franklin’s emergence as well as what we thought was the farewell to Michael Phelps, Ledecky’s dominating performance was somewhat overlooked. Now three years later, she’s the most dominant American in the water and the current world record holder in the 400-, 800- and 1,500-meter freestyle. There are things she does in the water that Phelps himself has admitted leave him in awe. In Rio, no American swimmer will face more pressure and greater expectations than Ledecky — not only to win multiple Olympic gold medals but to follow in the wake of Phelps to continue to grow swimming as one of America’s most popular Olympic sports. Ford: The athlete likely to provoke the most polarizing discussion should he qualify for the Games is U.S. sprinter Justin Gatlin, who is running the best 100-meter times of his career at age 33 after two doping suspensions over the previous decade. That sets up a potentially nuclear confrontation against two-time defending Olympic champion Usain Bolt in Rio. Fair or not, those nine-plus seconds could represent the most vexing, high-profile example yet of the “what are we really seeing” dilemma present in track and all other elite sports since doping became a known quantity in the 1980s. How important are these Games to the Olympics’ overall legacy? Jim Caple: Like everything else in this “trending” age, what happens next has increased perceived importance, especially when there are so many shows fighting for TV viewership and so many sports vying for relevance. Rio also will be important in how well it does while hosting the first Olympics in South America. That could play a part in where future Olympics are held, and how much should be spent on hosting them. The legacy issue might have less to do with the Summer Games — there are many bids for 2024 — and more for the Olympic brand overall, with the 2022 Winter Games going to a city (Beijing) with little snow, no mountains and almost no winter sport following (as well as a country with a poor human rights record). The Olympics need a well-run, exciting Games in Rio to maintain its status as the world’s top sporting event by making sure people care about performance more than the side issues. Wayne Drehs: There was a time when it seemed that the world’s greatest cities would do just about anything asked for the right to host the Games. A source of civic pride, becoming an Olympic host forever put your city on the map. Now, the days of lavish spending with endless tax dollars are over. Just last month a feature in the Chicago Tribune praised the fact that Rio — and not Chicago — were awarded the 2016 Games. The Games, the piece contended, would have been the city’s funeral. IOC president Thomas Bach is well aware that the perceptions of the Games are changing. He watched as country after country backed out of bidding for the 2022 Winter Games, leaving Almaty, Kazakhstan, and snowless Beijing as the IOC’s remaining two options. Beijing was the IOC’s eventual choice. With one of the most picturesque cities in the world serving as a backdrop in 2016, the IOC is hoping scenes of the Copacabana beach and perhaps a bit of samba-fueled magic will overcome the logistical challenges to help the world fall in love with the Games all over again. Ford: The Olympic business model is under tremendous pressure both economically and politically despite recent efforts of reform. Tokyo 2020 is struggling with overruns. The recent awarding of the 2022 Winter Games to Beijing out of a whittled-down field of two authoritarian regimes shows that the number of nations willing and able to host a bloated sports festival with questionable, if any, benefits to its citizens is dwindling. London did the best job of any organizing committee in recent memory, and there are still plenty of glittery suitors for the 2024 Games at this point. But if Rio fails in any significant way — quality of venues, transit or, worst of all, security — growing calls for restructuring or creating a permanent infrastructure and rotating the Games will grow louder. 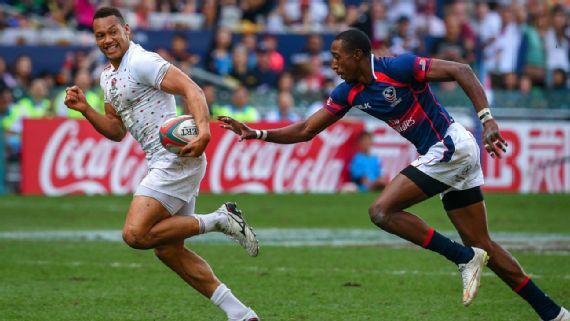 What is your take on the new/returning sports on the 2016 Olympic program: golf and rugby? Jim Caple: Golf has a legitimate stake in the Olympics, much more so than, say, yachting. It’s a popular sport played internationally by many. Its situation is much like tennis. No one complains about tennis being in the Olympics, though fans don’t pay anywhere near as much attention to the Summer Games as they do at Wimbledon. The same will be true for golf. It will hold some interest, but not as much as the Masters or the U.S. Open. And whatever Rory McIlroy or Jordan Spieth do, they won’t captivate attention like the U.S. basketball team, or Usain Bolt, or Michael Phelps. Rio is also a bad place to reintroduce golf to the Olympic program. The game is not at all popular in Brazil and there were only two courses in Rio, forcing the city to build another course at considerable expense when the budget was already strained. The Games in 2012, 2020, or perhaps 2008, when Tiger Woods still was a force in the sport, all would have been far better choices for golf’s return. 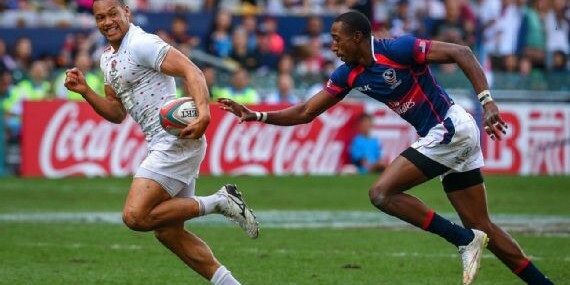 Ford: Rugby sevens, the smaller-sided (seven men per team), faster-paced (seven minutes a half) version of its older cousin rugby union, is beloved in many countries. This more easily digestible game (with space for more commercial breaks!) is a good introduction to rugby for audiences unfamiliar with it, and a natural showcase for individual athleticism. Its inclusion satisfies my personal preference that the Olympic tournament be the most important event in that sport — unlike rugby union, where the World Cup will always be king, or golf or tennis, whose majors represent the pinnacle. But I question whether the already overgrown Summer Games really needs another team sport.